REGINA — One of the CFL’s deepest group of receivers got a little more talented on Tuesday as the Saskatchewan Roughriders announced they’ve signed international receiver Bakari Grant. Grant, a 6-foot-4, 205-pound pass-catcher out of California-Davis, is a six-year veteran having originally entered the CFL with Hamilton Tiger-Cats in 2011. After spending five seasons with the Ti-Cats, Grant joined the Calgary Stampeders, signing as a free agent in February, 2016. Last season the 29-year-old Oakland, Calif. native started 10 regular season games in which he collected 625 yards and four touchdowns on 44 receptions before adding one catch for 18 yards in the Western Final and four catches for 52 yards in the Grey Cup. Through six seasons, Grant has totaled 286 receptions for 3,652 yards and 20 touchdowns in 80 regular season games. 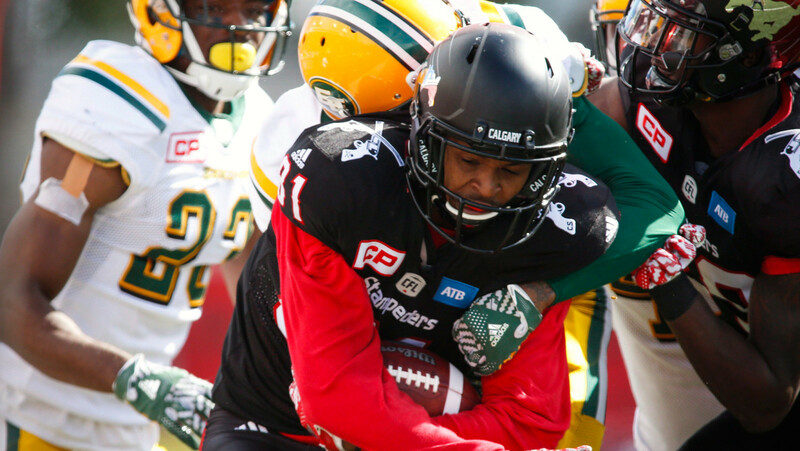 Grant adds to an already-talented Riders receiving corps, joining recent signings Duron Carter and Chad Owens along with last year’s leading receiver Naaman Roosevelt.